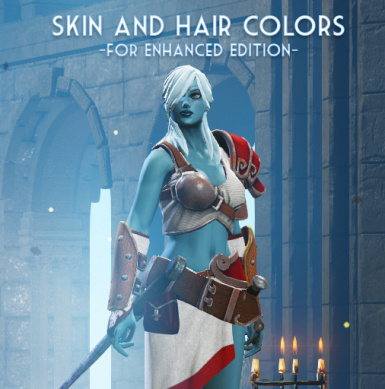 A cosmetic mod that adds a bunch of fantasy colors for skin and hair. Does not replace any original colors. Enhanced Edition. Just overwrite the "properties.lsx" file with the new one. Divinity: Original Sin has a fine selection of natural tones, but not much in the way of fantasy colors. 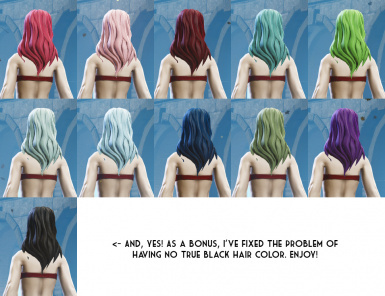 and cosmetic mods like face textures, body and hair model replacers, etc. in the gallery as well. working if it stays in the Data folder, and I don't think removing it negatively impacts the game. Don't rename it and leave it in, either. Just move it out. 1. Go to the game's directory in the Steam folder (or wherever you have it installed), delete the "properties.lsx" file. invalid, etc". It still works fine, despite the message. Q: Can you add ____ color?